Knowing what to bring to Bonnaroo is more important than most music festivals. In general, most people camp for Bonnaroo, requiring you to bring supplies for several days. You can buy most things you need at Bonnaroo, but it will be much cheaper if you bring it with you. This is a full list of gizmos, gadgets and essentials you should be bringing with you to Bonnaroo. You don’t necessarily need any of these things, but if you have them they will definitely enhance your Bonnaroo experience. This list is divided into two sections: first is a quick list of camping essentials (things you definitely want to bring to your campsite. Second is things I recommend you snag for Bonnaroo/Centeroo itself. The list above is everything you should be bringing to your Bonnaroo campsite. This will make your time on the farm better. Now let’s go into all the things you want for when you are at Centeroo enjoying the music, shows and general debauchery of Bonnaroo. Again, you don’t need any of these items, but they will enhance your experience. This is a lifesaver at Bonnaroo. First, it is really hot at Bonnaroo. It is not atypical for the temperature to be over 90 degrees. This means you need to hydrate. Second, they have free water refill stations throughout the Bonnaroo festival grounds, so refilling your Camelbak won’t even cost you anything. Why not bring a water bottle to refill? Capacity my friends! You can bring in a huge Camelbak and not run out. This means more time at the Bonnaroo stages, and less time running to the water refill stations. The lines for the water refills can get annoyingly long during the warmer parts of the day. 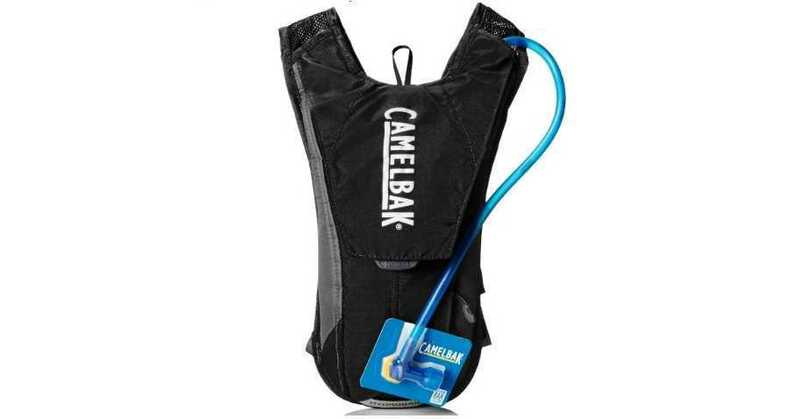 I cannot implore you enough to invest in a Camelbak. They’re great at Bonnaroo, but they’re also great for other music festivals or really any other outdoor activities. Bonnaroo, as well as most other music festivals, allow hydration packs so I assure you that Bonnaroo will not be the last time you use it. Some people bring their nice shades to Bonnaroo, and a lot of those people drunkenly lose or break them. 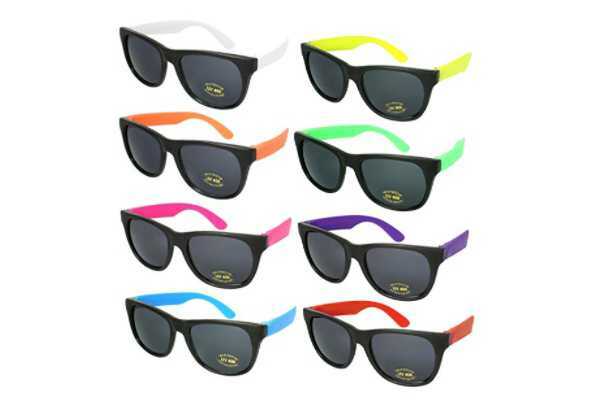 No need to impress, just bring some cheap sunglasses and be worry free. I highly recommend bringing a pack of cheap sunglasses in case you or someone in your group at Bonnaroo loses their shades. The set I recommended are cheap and get the job done for music festivals. Perhaps you are noticing a theme with the sun and heat. If you forget sunscreen at Bonnaroo you can fully expect to return a lobster. It is almost always hot and sunny the years I have attended Bonnaroo. I highly suggest getting some strong sunscreen like the 70 SPF I recommended. There are some shaded areas at Bonnaroo, but most of it is not, which means you will be spending a lot of time in the sun. Be sure to bring some sunscreen with you. If you are the type of person who never gets chapped lips than I envy you good sir. The dry heat of Bonnaroo is unforgiving for those of us who do get chapped lips, so bring chapstick with you! Of course, you can buy it at the festival if you like purchasing things for 3x the normal price. Bonnaroo, and more specifically Centeroo, doesn’t shut down once the festival begins on Thursday. This means there will always be people partying and having a good time. If you do want to get some semblance of sleep at Bonnaroo I highly suggest snagging some earplugs. Some people enjoy these if they are right by the speakers at one of the stages, but I primarily suggest them so you can sleep at night at Bonnaroo. If you have ever been anywhere with a huge crowd, like Bonnaroo, you will know your cell phone service is going to struggle. 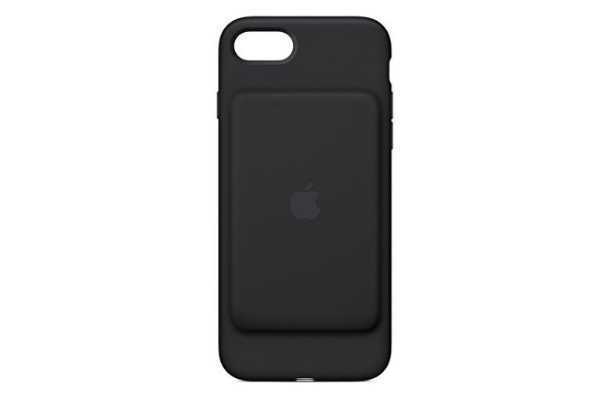 As your iPhone struggles to find that one precious bar at Bonnaroo, the battery is getting drained quickly. Bring a portable phone charger to Bonnaroo so you have a way to re-charge at night when your phone is dying. Plus you will always be competing for chargers at Bonnaroo, so this is a nice way to need to charge less. Same logic as the portable phone charger, just a different approach to the same Bonnaroo problem. The nice part with the case is you can easily use it without having to carry something extra with you. You also won’t need to carry a charging cable around with you. Have you ever been to an Bonnaroo bathroom in the evening hours? If you haven’t, just know that what has been seen cannot be unseen. Even as a male who is not easily grossed out, I can unequivocally tell you they can be filthy. Furthermore, there is about an 87% chance the soap dispenser ran out of soap 3 hours ago so you'll have no way to properly clean your hands. Do you really want to eat those late night munchies with gross bathroom germs on your hands? Bring some small bottles of hand sanitizer with you to Bonnaroo. They won’t solve your Bonnaroo bathroom woes completely, but at least your hands wont be disgusting when you use them to eat! Speaking of bathrooms, this is primarily a female essential from what my fiance tells me. As she tells it, the bathrooms will run out of toilet paper and if you're a female you will want to bring some form of backup with you. These small packs of kleenex are easy to grab and will fit into most any size bag. Full disclosure, I haven’t brought one of these to Bonnaroo yet, but I am always envious of the other people who do have them. As I’ve said, it is not abnormal for Bonnaroo to get over 90 degrees and it’s almost always at least in the upper-80s. If you have one of these little guys it is sure to help, especially at the 2-5 PM time frame when the sun is just absolutely brutal at Bonnaroo. I don’t have a specific recommendation as this is far too personal, but I cannot stress the importance of having comfortable shoes for Bonnaroo enough. Bonnaroo days are tough, even for someone who unequivocally loves Bonnaroo. It’s hot, you’re on your feet all day, you walk 11.7 miles running between stages, and you’ll want to do all of this in comfortable shoes. Do not go to Bonnaroo in a new pair of shoes unless you are a fan of blisters. If that is the case, by all means wear your new shoes. I would also note there is a solid chance your shoes come back in rough shape after Bonnaroo, so be ok with whatever you wear being ruined. You don’t need anything fancy for Bonnaroo, but it is nice to have a backpack. You can put sunglasses in there at night, carry a hoodie in case it's cold in the evening, hold water bottles, etc. Basically, you need to bring a bag to hold all your other essentials. Like most things at Bonnaroo, you should expect it to get trashed and be pleasantly surprised if it survives. This is why I recommend a cheap, solid backpack to carry your stuff. Comfort is the key in your Bonnaroo campground. Whether it’s for relaxing or sitting around with your squad and enjoying a few drinks before heading into Bonnaroo, be sure to bring something comfortable to sit on for your Bonnaroo campsite. You can also bring chairs that sit less than a foot off the ground into the festival grounds, so if you like to sit in the back area of a stage and enjoy the stage this is a nice option as well. We have a few recommendations depending on what you prefer. These are great for relaxing at the campgrounds. They are cheap, comfortable, light (which is important as you will be hauling a lot of stuff setting up camp) and most importantly they have a drink holder. Just note these ones are for your campground but are too tall to bring into Bonnaroo. If you are looking for something you can bring into Centeroo we recommend the Ozark Low Profile Folding Chair. Our personal preference is the blanket option. It's lightweight and easy to carry around with you, but still a great option for having something clean and or comfortable to sit on between shows. Our recommendation is a lower priced option,that will provide a place to sit, can withstand the rain and gives you a simple alternate to sitting on the ground. There is one extra alternative we've seen pop up at festivals lately, the inflatable lounge chair. There are multiple options, but the Chillbo Baggins is our favorite. I'll be honest, this is largely influenced by how much I like the name, but either way, it's a great option to consider. It’s an awesome Bonnaroo campground addition. Pretty much everything takes card at this point at Bonnaroo, but it’s still nice to have cash sometimes. It’s quicker, and a lot of times you will be rushing to get back to the stage. It’s also just nice to have a few bucks to buy the $2 water quickly versus having to wait for the card to go through. I always recommend bringing at least around $40 to Bonnaroo for small purchases here and there. There you have it, all the things you need to bring with you to Bonnaroo to enhance your experience. I know it’s a lot of stuff, but most of it is really cheap and does make Bonnaroo a better experience overall. You can get by without it, but you will have a better time at Bonnaroo if you keep all of these things in mind! Have you discovered other essentials in your Bonnaroo travels? I’d legitimately love to hear them! Let me know by contacting me at mailto:mShawn@EventTrk.com.